Lewis Rice member David W. Sweeney represented an apartment developer in the Tower Grove South neighborhood of St. Louis. According to the St. Louis Post-Dispatch, it will be a $6.4 million, 26-unit apartment building on Morganford Road. Because other issues, like community benefit agreements, surround the project's funding, it is unclear whether the project will move forward. 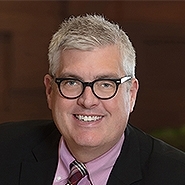 David Sweeney focuses on lobbying, governmental and finance matters; real estate law; municipal and public law; government affairs; zoning, land use, tax increment financing, community improvement districts, and other development incentives. His experience ranges from drafting and overseeing implementation of legislation regarding tax increment financing, community improvement districts, special business districts, transportation development districts, and property tax abatements to representation of governmental entities in a variety of real estate development and finance matters. To read more about the project, click under "Resources" below.